Everybody wants that quick fix to lose weight. Commercials, emails and web ads tell you over and over that their new pill is the one for you to take to burn away fat immediately, have more energy and sculpt your abdominal muscles. What they don’t tell you is that like any medicine, fat burners and fat blockers, some of the hottest products on the market, can have some nasty side effects, and many fat burners for men can make you sick or worse. 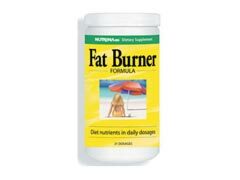 Most all products on the weight loss scene, including many of the top 10 fat burners, are stimulant type products. While most people don’t experience much from a little extra caffeine, some fat burners for men contain stimulant type ingredients that can lead to high blood pressure, heart palpitations, anxiety and irritability and unbelievably, heat attacks; Zantrex 3 Fat Burner is a popular product that contains a large amount of caffeine that can cause substantial side effects in people who are sensitive to that particular stimulant. Many people experience nausea, constipation and other stomach discomfort as well. Sometimes, this is because of the sheer amount of ingredients packed into these supplements, other times it’s because of how each person reacts to what is in them. Unfortunately, because of the unique ingredients often used, it is hard to know how your body will react to the supplement until you take it. This is why it’s best to do your research before buying one of the thousands of fat burners for men on the store shelves. Do you know what Chinese Mistletoe is? No, you don’t. So why would you take a pill that contains it when you don’t know how you will react? If you are unsure about a supplement, don’t take it. And, before you take any medication whether over the counter or otherwise, talk to your health care provider. It is important to understand how what you are intending to take might affect you in relation to your current medications and health history. If you choose not to any of the available fat burners for men lining the store shelves, benefit from the fat fighting power of nature by eating a diet full of the best fat burning foods such as fish and beans. These foods will kick your body’s ability to smash fat into overdrive and provide maximum benefit to your diet and exercise routine.